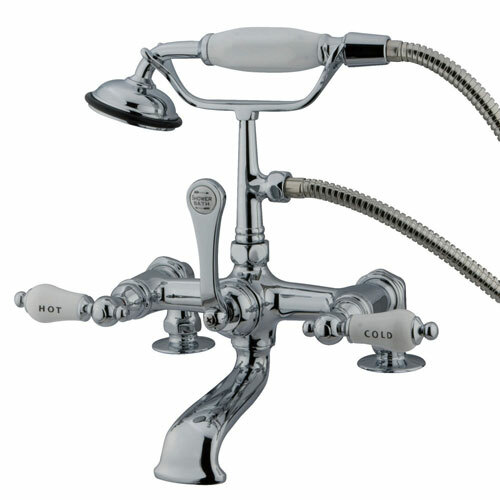 Kingston Brass Chrome Deck Mount Clawfoot Tub Faucet w hand shower CC208T1: This Deck Mount Clawfoot Tub Faucet w hand shower is built to last. The highest quality standards are used to precision manufacturer a top of the line product. 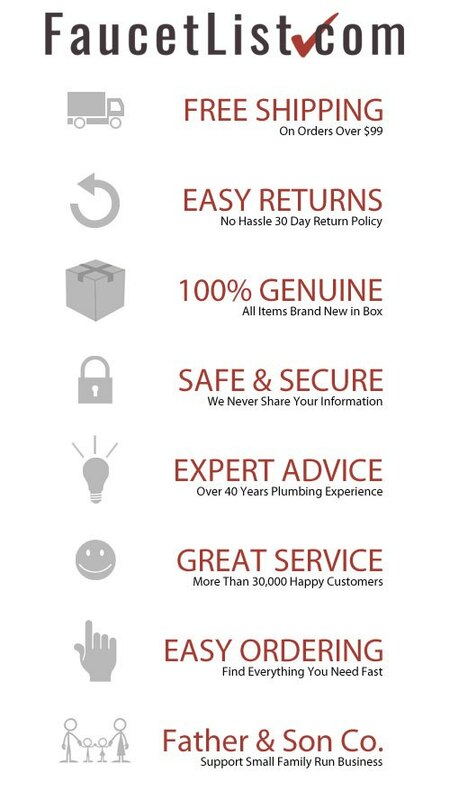 Important features of this BRAND NEW Fixture: Complete Item! Everything necessary for installation is included. - White Porcelain Lever Handle - Matching Accessories Available - Easy to Install - Installation instructions included - Deck Mount Clawfoot Tub Faucet w hand shower - Solid Brass Construction - Deck Mount Clawfoot Tub Filler - 1/4 Turn Ceramic Disk Cartridge - 7-inch Spread - Spout Reach 8-inch - Chrome premier finish designed to resist fading and tarnishing. This fixture is manufactured by Kingston Brass and is part of their : Precision Manufactured collection.